License suspension is a real possibility depending on your Blood Alcohol Concentration and whether or not this is your first offense. DUI Penalties are applied in a 3 tiered system, but the one thing you should not do is take your situation lightly. Many factors enter into the outcome of a DUI charge, from the training of the police officer who stopped you to your own behavior in complying with the officer’s requests and how you present yourself before the Magistrate. Nevertheless, here are the basics. General Impairment and incapable of safe driving. No suspension for first time offenders. One year suspension for second and subsequent offenses. High BAC. One year suspension for first and second offense. Eighteen month suspension for third and subsequent offenses. Highest BAC. One year suspension for first offense. Eighteen month suspension for second or subsequent offenses. Interlock Ignition System. When you do get your license back, you could be required to use an interlock ignition system for up to one year, starting with a second offense at any level of impairment. Out-of-state DUI convictions. No suspension for first offense. Twelve month suspension for second or subsequent offenses. CDL License Holders are subject to a 12-month suspension of their CDL privileges as the result of either entry into the ARD Program or a Conviction for DUI. CDL License Holders who are convicted of a second DUI Offense can lose their CDL Driving Privileges for life. Visit our CDL License Suspension page to learn more. Losing your driver’s license, even for 12 months, could be a devastating blow. Your best chance of avoiding that fate is to call a DUI experienced attorney today. With experience helping thousands of clients just like you, you should Contact Ronald Makoski today. Possibly. For many, a driver’s license is critical to their daily activities. For example, a commercial driver who relies on their CDL (commercial driver’s license) to make a living would be devastated by a license suspension. In some cases an Occupational Limited Licenses (OLL) may be available to a DUI offender. Certainly, getting you a “bread and butter” or “work license: would be an important goal if at all possible. 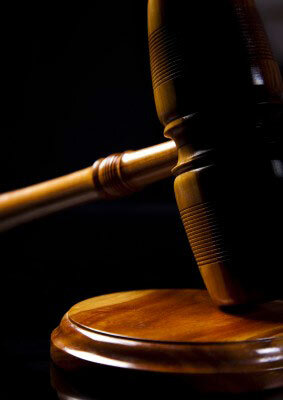 License suspension can a serious consequence of your DUI. You are looking at possible repercussions to your job, your family life, your auto insurance, even your right to own a firearm.